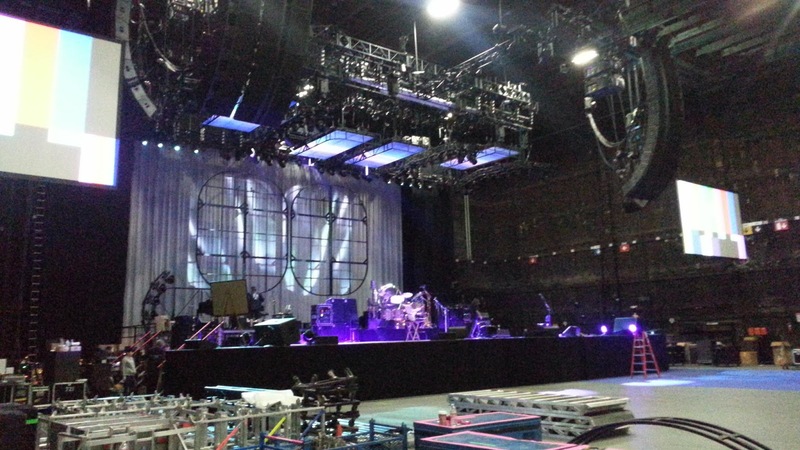 Fleetwood Mac News: Behind The Scenes Photo: Fleetwood Mac Rehearsal Set... Ooooohhh.. Look at the stage! Behind The Scenes Photo: Fleetwood Mac Rehearsal Set... Ooooohhh.. Look at the stage! Carvin Guitars and Pro Audio posted this to their facebook page. 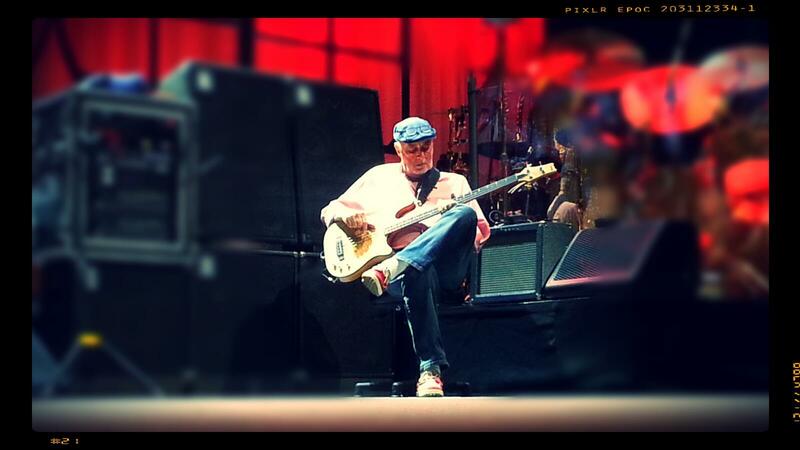 Yesterday they posted a pic of John playing around with his new bass they had just delivered to them. Suddenly the tour just got real! I can't wait!! looks Fantastic...as does John. Awesome! It looks cool, I never liked those lighting panels above the band on the 2009 tour. They looked ominous and expensive to take from city to city. This stage is simpler and looks fine. I wonder if the curtain will part at any point to show film or images on a screen? It doesn't look finished to me. its hard to believe only less than 2 weeks away from the start of the tour and 4 weeks from the first of 2 Boston shows. So excited for the meet and greet 3rd row center stage Apr. 18th. in hopes of seven wonders and thrown down to be played and Bleed to love her. Going to the St. Paul show!!! Can't Wait!!!! My biggest curiosity is the setlist. During her NPR interview Stevie dropped that the setlist will be 24 songs, 12 of which are "required songs." That leaves 12 wildcards. Stevie said "Sisters of the Moon" is back, which I'm so excited for. Mick also dropped earlier that he was pushing for "Crystal." I agree with Brian - I also think "Miss Fantasy" and "Sad Angel" will make the list. I don't think Stevie will choose any of her work from Say You Will, but I agree with Brian I would love to see "Seven Wonders," although it would need to be reworked into more of a rock number. And I'm sure it will be one of the closers, but I really hope they drop "Don't Stop" from the list. Unless Christine is going to make a few appearances - or even just a couple during the England shows, in which case the entire set list would be reworked - I don't want to see Stevie singing her songs. ^ ^ I concur. It would be great to hear Seven Wonders, Angel, Crystal, and SOTM. I'd love Stevie to sing Fireflies again!